I’m listening in on a conversation from the corner of a coffee shop, but I’m not the average nosy citizen with too much time on his hands. The reason I’m doing this may come as a surprise. I’m spying as part of my marketing research process. I realize it may sound a bit creepy, but it’s all for the sake of the craft. This habit of eavesdropping is a skill that I’ve been perfecting over many years. Before I explain why it’s important for entrepreneurs and marketers to hone this skill, let me take a step back. I spent a decade of my life writing feature length screenplays and producing films. I used to sit at coffee shops and listen to conversations pretending I was reading or working on something else with my head down – this eavesdropping would let me into a person’s world. What I observed helped me create dozens of characters over the years and I weaved these details into the stories and dialogue. I had to think like my characters to make their dialogue and actions believable, and I used real people as my doorway in. I’d look at everything- the shoes they wore, the brands they liked, the things that scared them, gestures and nervous ticks. Sometimes, I wondered if this was a flaw in my creative process. I was uncomfortable with the fact that I couldn’t create these scenes or dialogue without pulling from the real world to inspire them. Now, years later, I realize that this was not a flaw at all. Analyzing people and listening carefully and unobtrusively didn’t make me a creep or an imposter. It made me a better writer and creator. I started to see and hear the little things that told me everything. This deep observing provided me with a unique advantage. What does spying on people have to do with market research? The difference between a great writer, researcher, entrepreneur or marketer and all the phonies out there is how deep they are willing to go. Are they satisfied building out superficial user personas based on their limited experience and biases? Writing characters that are cutouts of themselves? Are they OK assuming their customers think and make decisions like them? Are they willing to build their product around their own fragile assumptions? Simply, do they think from the inside out or outside in? As explained in the book, Positioning: The Battle for Your Mind, you must think from the outside in and get to what customers really think of you and perceive you to be. In other words, it doesn’t matter what the founder says the brand stands for… it matters what their customer says it stands for. This perspective is important in all aspects of branding and marketing. If a marketer is going to carry the flag and represent a company’s brand and hone their marketing and messaging, they must know their customers in a much deeper (outside in) type of way. Sit with them, look at them, absorb everything… this can’t be accomplished through a simple survey or through a couple of phone interviews (although it’s a good start). Find a way to understand the small data. Go into their world, follow them, watch them behind your book at the coffee shop, and listen to their conversations on the train. Now here’s where being a spy can help to reach customers. Before heading off to a coffee shop to spy on customers, there are ways to do it without intruding into their lives, using the Web. Pull email, first and last name of 40 or so customers that you think fit the ideal customer profile. You’ll be lucky if you can match half of them… your goal is to match and analyze 20, so that’s why we start with 40. Search for these people in Google and on Facebook based on email address or name or a combination and you should come up with some possible Facebook profile matches. I notice that I can pull a Facebook account or other online profile on about 30% of these people within the first 2 minutes. Some take 5-10 minutes to narrow in on, and others are close to impossible to ensure a matching Facebook profile. If you come up empty after 15 minutes, move on to the next prospect. With the 20 or so final Facebook profile matches you find, scan 10-15 minutes scanning every brand, movie, interest group they like, and theme they mentioned in their posts over the past few years. What do they talk about? What do they seem passionate about? What do they despise? Start to list out trends and commonalities across the group. 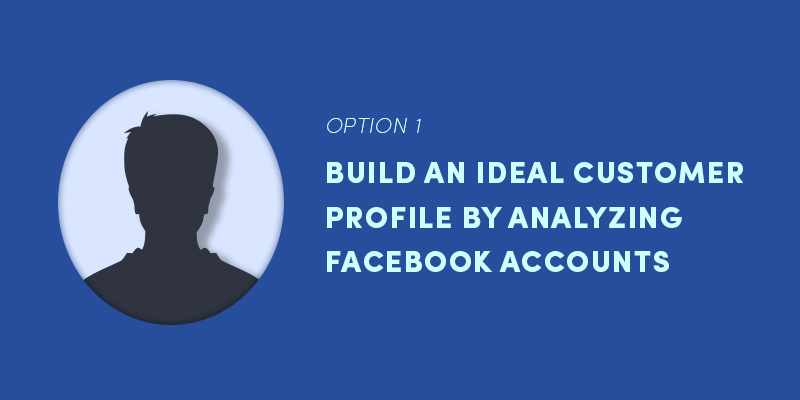 Use common interests and traits to create a more concrete version of your ideal customer profile. Go to Amazon Customer Reviews on your product and look for where “Top Customer Reviews” are listed. 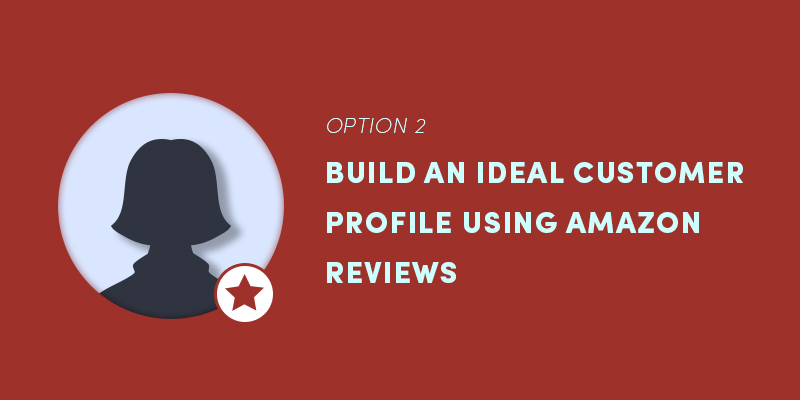 Identify 20 reviews that you would characterize as coming from your ideal customer. Hint: They use the right language and value the right things in your product. It’s more of a hunch than a perfect science. Go through the Amazon profiles of these 20 customers and read through all of the product reviews they’ve completed over the years. Read every word, look carefully at all of the products they’ve purchase over time. Study how they talk about their experiences. Juicy details start to stand out. Now, take all of these clues from these exercises above and picture your ideal customer. Her name is Liz. She’s sitting in bed cozy with their laptop, watching Flip or Flop, her dog sitting in the hallway outside the bedroom door. She lives in a nice ranch style home in rural Ohio, enjoying her new pajamas and reading by night light lamp. Her husband is asleep next to her, and she’s happy, because she recently bought him a SleepNoSnore device. She’s looking up healthy 30 minute vegetarian recipes with hopes of getting some use out of her new food processor. She can’t wait to try out her new Adidas Ultraboosts at the gym tomorrow. See if they improve her mile time. And you got all that from scouring Facebook accounts and Amazon reviews? Yes, it’s possible to do. Play out scenarios and think about how Liz makes decisions. What moves her? Now become her. Are you “her”? Good. Find ways to serve and speak to her directly. Where is she most active online? How does she interact with brands? Where does she do her shopping? Forget about everyone else. Leave no doubt in her mind that your product is made exclusively and specifically for her. Now write every headline, CTA and piece of content for Liz. Write ad copy to speak to her values and touch on her biggest fears. Start with a question that Liz often ponders. What are her core problems? Build your brand and all of your creative for Liz, and only to solve her core problem(s). Important: Refuse the urge to extrapolate and widen your message to increase your potential audience. All you are doing is losing relevance for the single most important person, your ideal customer. The one person you are built to serve. The power of good marketing research combined with the reach of today’s advertising platforms and targeting capabilities is a dangerous combination. Keep in mind that the analysis you are doing on Facebook and/or Amazon is also serving as the data you will be using to target new customers just like Liz. Be dedicated to the research. While it can be an imperfect and manual process, it’s the only way to understand your ideal customer profile. Then, stay disciplined by focusing on the one ideal person that will buy your product or service. It’s tedious work, but it’s how you win.